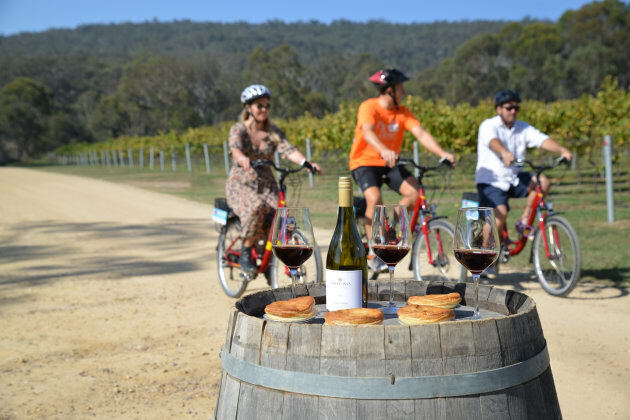 Pie cycle is a cycling tour taking in several famous pie stops through the picturesque Southern Highlands south of Sydney come June this year. It's all part of the annual 'Pie Time' festival - the time the entire region celebrates the great Australian pie with a series of mouth-watering pie themed events and festivals - according to Steve Rosa, Manager of Tourism and Events at Destination Southern Highlands. “Off the back of our National Award-winning short breaks destination marketing campaign for Pie Time 2017 at last month’s Qantas Australian Tourism Awards, the region - where there is a large saturation of quality pie producers - is super excited to become The Southern Pie-lands once again for the month of June,” Steve said. 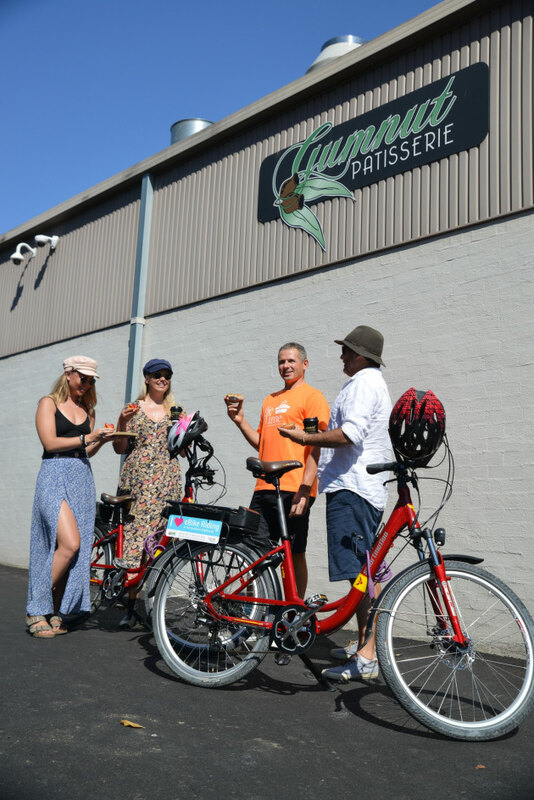 Pie by eBike: Riders enjoy a stop at the Gumnut Patisserie at Mittagong. Artemis Winery, one of the stops on the Highlands cycle tour. Mr. Rosa revealed some big changes planned for Pie Time 2018 at an industry briefing held in Bowral. “This year sees the expansion of the Best Pie Competition to become the NSW and ACT Best Pie Competition. On from 13-15 June, it is this year held further ahead of the Pie Festival allowing bakers from near and wide throughout NSW and ACT to pit pie against pie in five categories, and to be able to keep up with the baking demands to have the pies available for the public at the festival later in the month,” Mr Rosa said. Two-day pie festival has been re-located to the Bong Bong Picnic Racecourse in Bowral to accommodate a greater number of stallholders and activities and to make access and parking easier for patrons. Taking place 23-24 June, the newly branded PieFest will celebrate all things pies, wine, beer, cider and spirits from the Southern Highlands and further afield. Local pie makers, bakers and producers will once take part in the other pie related events including a locals’ pie night and the Pie Trail where visitors can tour and sample locally made pies from over 30 local pie outlets and pie cooking classes. “We’ll also have a range of brand new pie themed experiences in 2018 including Pie Trike Tours, Pinot and Pie tours and Pie-cycle, a cycling tour which takes in several famous pie stops throughout the Highlands,” Steve added.